Facial hair remover that painlessly remove all facial hair with no nicks, cuts, and no irritation. Suitable for light, medium, or dark skin, for thin, thick, or coarse hair, and for dry, normal, or sensitive skin. 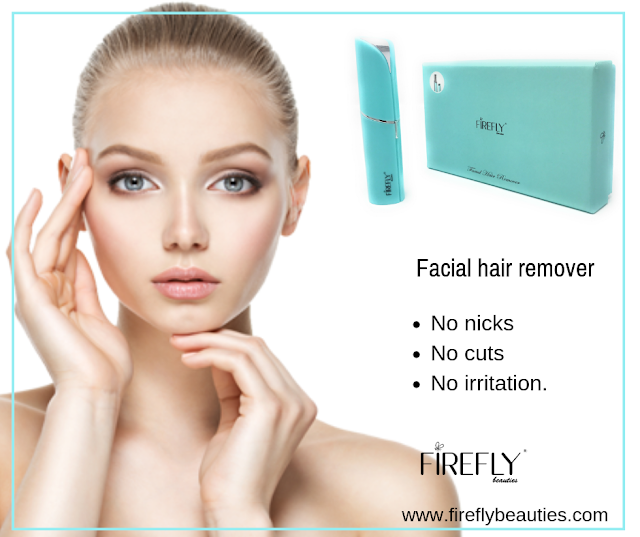 FIREFLY’s facial hair remover is for everyone. Can be used all over your face for an airbrushed makeup look - upper lip/mustache, eyebrows, cheeks, chin, ears, neck, and even your peach fuzz. Your order will come with facial hair remover, usb charger and a small brush. Risk-Free Money Back Guarantee: If or any reason you are not satisfied with your purchase, please let us know and we’ll instantly refund 100% of your money!